Reaching the juncture at which your home mortgage loan is sufficiently in arrears that your lender files a foreclosure case against you is both frustrating and frightening. Your immediate response when served a summons (notification) of a foreclosure case may be despair. In fact, you have options available to you in the aftermath of being served with a summons and petition in a foreclosure case. The key is to be as proactive as possible and not waste time exercising your rights in stopping a foreclosure. Contact the attorney representing the home mortgage lender in the foreclosure action and ascertain whether the lender will consider a settlement of the arrearage on your loan. In some cases a lender and its attorney will consider a settlement through which a smaller amount is accepted to satisfy the entire amount past due or some other resolution to the matter is reached. From the perspective of the lender, a settlement can be cheaper and less time-consuming than pursuing a foreclosure case to conclusion. Obtain refinancing to pay off the loan in foreclosure. Although challenging to obtain and not widely available, there are specialty lenders that offer mortgage foreclosure loans. These loans have a higher interest rate than what you enjoyed on the loan in default. However, you do avoid foreclosure and you end up with a current mortgage loan. 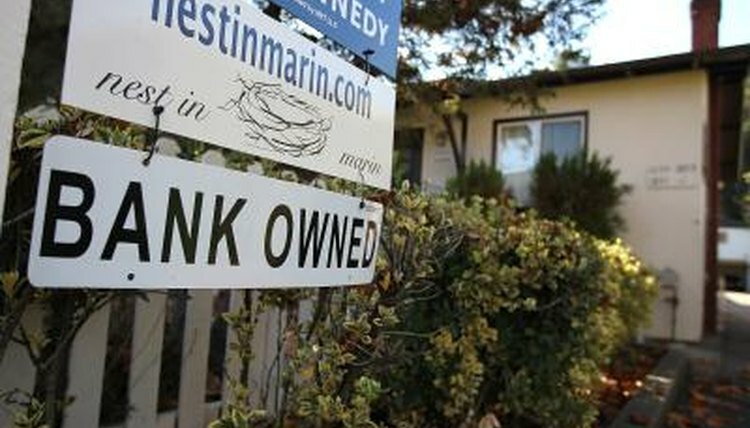 Request your current mortgage lender to discount the balance due on the loan in foreclosure. Discounting a loan means reducing the overall balance due on a loan to allow for a short sale. In some cases, a property in foreclosure is valued at an amount less than the total amount of the mortgage loan. A reduction of that balance due permits you the ability to put the real estate on the market at a price close to or under the fair market value, increasing the prospects for a quicker sale. A lender may favor this course because it saves money and time otherwise associated with a full-blown foreclosure action. File for bankruptcy. Barring success in proposing any other alternative to foreclosure, filing for bankruptcy stops a foreclosure case. The moment you file a bankruptcy case, the bankruptcy court issues what is known as an "order of automatic stay." The order prevents the mortgage lender from proceeding with the foreclosure absent further approval of the bankruptcy court. If the real estate in question is your residence, a legal exemption available through bankruptcy and state law permits you the ability to keep your home despite the attempt of the lender to foreclose. Broemmel, Mike. "How to Stop a Foreclosure After Being Served a Summons." , https://legalbeagle.com/5890964-stop-after-being-served-summons.html. Accessed 24 April 2019. Will the Bank Trade My House for One it Owns?